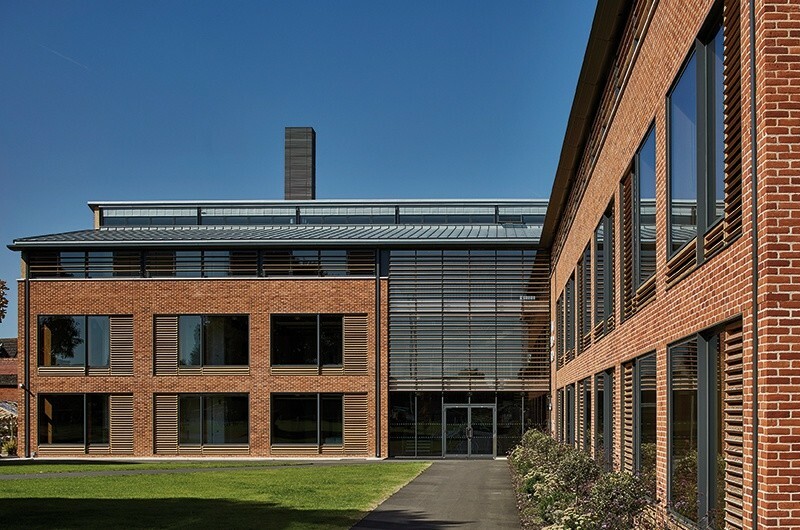 The new Yang Science Centre at Abingdon School has been completed. The distinct new facility is situated at the northern edge of the School's campus and will form a key gateway entrance to the School's grounds. It contains 21 laboratories together with offices and support spaces arranged over three levels. The provision for a lecture theatre, to be added at a future date, has also been included. An open-plan area, wrapped around the internal face of the building, provides flexible teaching and study spaces and creates a hub of activity and interaction for students, faculty, staff and visitors. This has enabled a flexible and efficient circulation strategy that can be adapted to suit the School's daily needs.